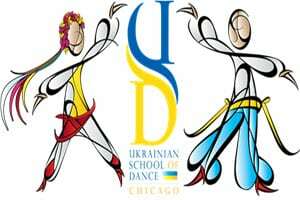 The Ukrainian School of Ballet and Folk Dance has been in existence for over 35 years. Presently the enrollment is close to 250 young dancers, ranging in age from five to fourteen, all from various Ukrainian parishes and youth organizations throughout the Chicago-land area. From the first year of schooling emphasis is put on technique and grace as students learn basic ballet and traditional folk dance from various regions of Ukraine. It is this unique combination of instruction that shines through when the students perform. In addition to year-end recitals, the school stages its very popular St. Nicholas performance each December comprised of popular Christmas themes. After completing their study at the School, many students continue on to the Hromovytsia Ukrainian Dance Ensemble and other dance-related endeavors.